Star Wars Rogue Squadron III: Rebel Strike is a Star Wars video game developed by Factor 5 and published by LucasArts exclusively for the Nintendo GameCube. 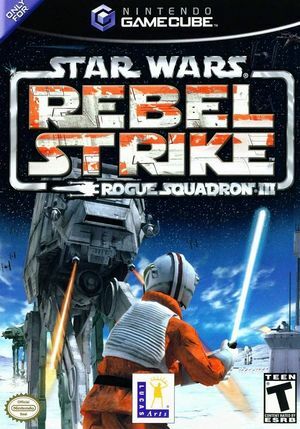 Rebel Strike was developed as a sequel to Star Wars: Rogue Squadron and Star Wars Rogue Squadron II: Rogue Leader. In addition to the arcade flight gameplay of the previous games, it added the ability for the player to leave their starfighter to participate in ground battles as well as to enter and pilot other vehicles during certain missions. The game also adds multiplayer; both a versus mode and a co-op mode that allows two players to play all but two of the missions from Rogue Leader together. Rebel Strike features the ability to use the Game Boy Advance screen and controls to issue orders privately in versus mode, via the Nintendo GameCube–Game Boy Advance link cable. Rebel Strike uses the same base engine as Rogue Leader, but with even more advanced effects and hacks, including atmospheric weather, more enemies on screen at once, etc. The game has proven even more difficult to emulate than its predecessor. Using Aspect Ratio: Force 4:3 will not maintain 4:3 output on 16:9 displays with this title. It will swap to a near 16:9 display during it's intro animations. This does not distort the graphics in any way; but rather is zooming in because Dolphin is detecting parts of the screen not in use. Star Wars Rogue Squadron III: Rebel Strike is one of the most susceptible titles to shader compilation stuttering. The GC and Wii have no concept of shaders - everything is executed directly by the hardware without an intermediate programming language (API). Modern computers and mobile systems do not work in this way, requiring the use of shaders as an intermediary so your system's GPU can perform the tasks that the GC and Wii GPU performed directly. Shaders have to be generated though, and since GC/Wii games are not designed to create shaders ahead of time as a PC game would, when a new effect appears Dolphin has to delay the CPU thread while the GPU thread performs the compilation; a pause that does not exist on the consoles. For most games shader generation takes only a few milliseconds, but for a few demanding titles, the shaders that they generate are so large that they can result in noticeable stuttering, in severe cases pauses of over a second may occur. Unknown Opcode Errors may be seen when starting a game. 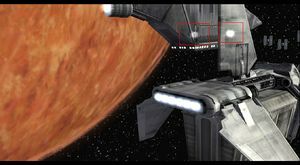 Some transparent objects, such as rocket thrusters, are not layered correctly appearing on top of objects that should obscure them. Refer issue 8859. There should be fades between various scenes that are missing in revisions prior to 5.0-5874 and rendered purple after the implementation of Hybrid XFB. 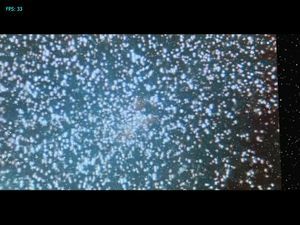 Prior to Hybrid XBF this is noticeable in the intro of the initial stage "Revenge of the Empire" when transitioning from the Death Star explosion to the ship flyby, where edges of video effects that should be hidden by a fade out remain visible. After Hybrid XFB this is visible in the initial fadeout in the intro scenes. Refer issue 8881. This can be corrected by disabling "Store XFB Copies to Texture Only". Fixed by 5.0-7151. Audio is garbled and distorted with DSP-HLE. Use DSP-LLE to rectify this. Fixed in 5.0-3260. There is a high definition texture pack for Rebel Strike on the Dolphin forums. The Widescreen Hack has clipping issues that can be resolved by using this Gecko Code instead. The graph below charts the compatibility with Star Wars Rogue Squadron III: Rebel Strike since Dolphin's 2.0 release, listing revisions only where a compatibility change occurred. This page was last edited on 1 August 2018, at 09:15.